It might be a little early to start throwing around the word "sleeper," but screw it: Unless this ends up being a banner year for impeccably crafted indie-pop releases, Headlights' Some Racing, Some Stopping is bound to be one of the great sleeper records of 2008. As much as the band had going for it on its 2006 debut, Kill Them With Kindness, Headlights' songwriting is both sharper and fuzzier on Some Racing, a beguiling collection of gooey boy-girl vocals, indelible '60s sunshine melodies, and dreamy shoegaze dynamics that should only sound better as the weather gets warmer. Starting out as a trio led by songwriters Erin Fein and Tristan Wraight, the band recently expanded to a quintet after making touring musicians Nick Sanborn (also a member of Polyvinyl labelmate Decibully) and John Owen full-fledged Headlights. "Tristan and I semi-consciously decided to explore the music we were introduced to when we were little. I've always gravitated to classic-sounding things. We are huge fans of harmony. Groups that execute nice harmonies, like Crosby, Stills, Nash & Young, we've always gravitated to." "We wrote it in the summer. Almost the entire record was made at a farmhouse, where it was warm, sunny, and beautiful. We talked about how we should let our surroundings affect what we're doing, because it seems more genuine." "We actually hate being compared to Stars. That genuinely makes me mad. I like Stars, but anyone doing something creative feels like they're being cheated somehow when they're compared to another group. It's not even that we've been compared to Stars, but some people have said things like, "They sound like diet Stars." It's just a lazy thing to write about a band." "Early on, before we were Headlights, we were definitely influenced by Hum. We really loved Hum growing up. 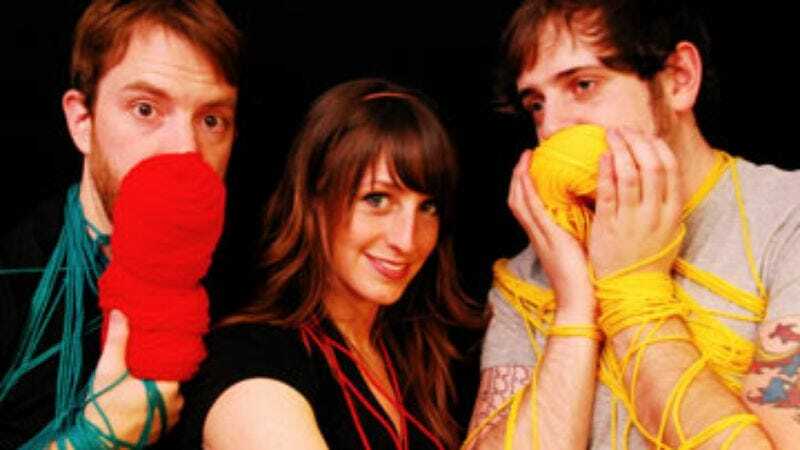 We always looked up to bands like Poster Children and Braid, who were doing things and touring. It was less about sound than about their approach."